Britain elected a new parliament today. I always feel humble and emotional when I vote. Men and women have died for democracy – and I recall those long ago battles when I place a cross on a ballot paper. As I write this, the BBC’s exit poll suggests the Tories have done better than expected. We shall see. 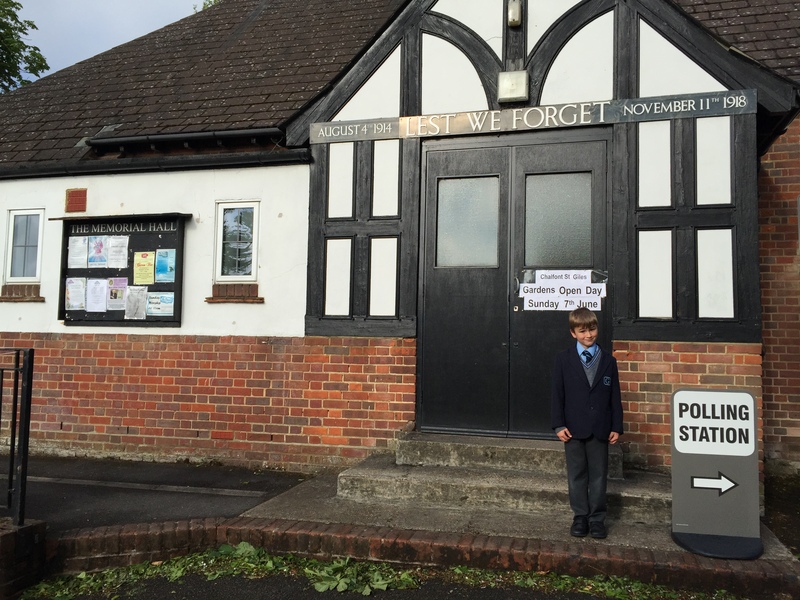 As we took Owen with us to the polling station in Chalfont St Giles, I explained that his paternal great grandmothers both waited a long time to vote – because women were deprived of equal votes with men until 1928. I think my dad’s mother was 38 before she voted in 1929. Her last vote would have been in the 1992 election. If you didn’t vote, don’t complain if you don’t like the government that results from today’s election. PS: I turned the car radio on for the 8am news headlines as we went to vote. The main story on BBC Radio 5 Live was tomorrow’s 70th anniversary of VE Day. An important day from his grandparents’ early days. 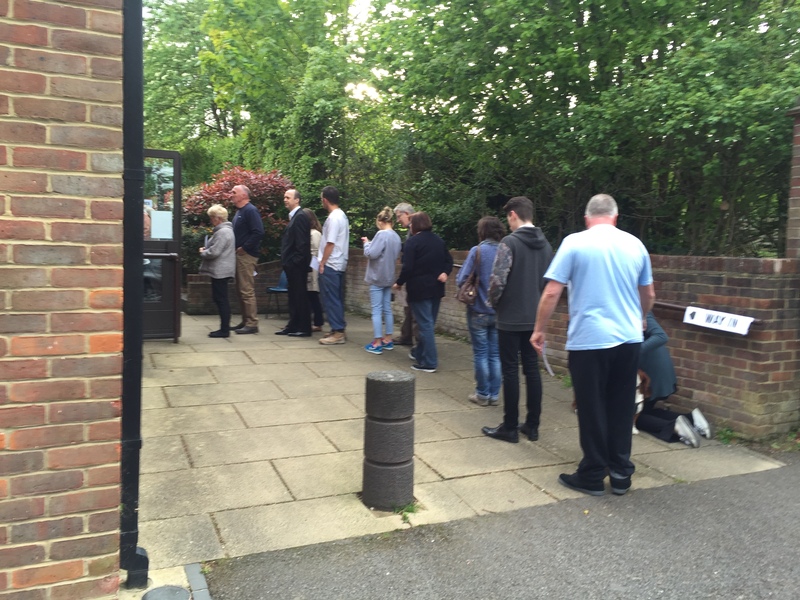 This entry was posted in Buckinghamshire, Politics & current affairs by Rob Skinner. Bookmark the permalink. I agree with that it’s important to acknowledge our freedom to vote for the government of our choice. It brought a lump to my throat on the day after the election, especially when you are aware how people in other countries are silenced for expressing their opinion or wishing to change their rulers. I am proud to live in a free and democtactic country like GB and I will never take this for granted. There are people who do take this for granted and I wish they would wake up and grow up.